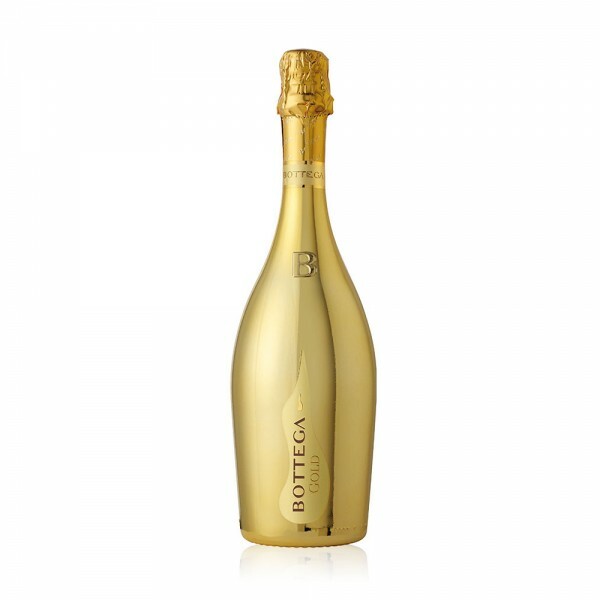 Bottega Gold's principal, unique flavours are a result of the vineyards the Glera grape is grown on nearby the Venetian Prealps. Maintained at low temperature for just over a year prior to fermentation and bottling, this gives the wine an opportunity to reach its fullest flavours and maintain its freshness in the mean time. The gold bottle is designed to protect the wine from any light, which keeps all the flavours and scents primed to come out and play. Floral and fruity on the nose, it is on the palate in which an intense array of both candied and exotic fruits emerge to touch your taste buds.